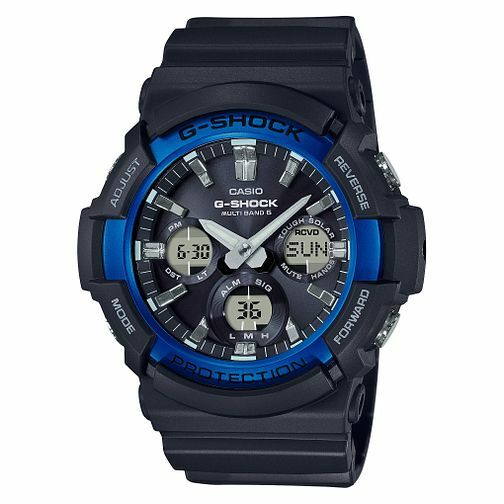 Be ready for any event with this water resistant and shock resistant men's G-Shock watch. With its resin black case and strap, this watch has a distinctive look, whilst still having ultimate functionality. Solar powered and radio controlled, this watch is water resistant to 200 metres, has a stopwatch function, and displays the month, day and date.